We were once again proud to be in association with the Isle of Man Food and Drink Festival 2016, and we are pleased to say that we thoroughly enjoyed it! On the 17th and 18th of September, the Villa Marina Gardens came alive with the sights, scents and delights of our island's best producers. 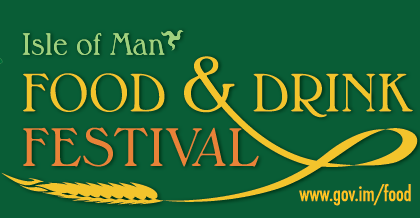 The Isle of Man Food and Drink Festival was a fantastic day out for the whole family - A rather delicious food adventure indeed! We celebrated all that's fabulous about our local businesses this year and the festival had a great range of entrepeneurs, chefs and foodies. This year's event saw the star of two popular BBC1 television programmes as the guest celebrity... Gareth Wyn Jones! Gareth spoke all about his life in farming and his TV career as he gave cooking demonstrations too! To see more of the weekend and the fun that we all had, check out the video here that's been put together to showcase the weekend. Don't forget to like the Food and Drink Festival page here to stay up to date with the plans for the festival next year!